Thank you @jennienaughton for sharing with #kidlitexchange to read and review. All opinions are my own. Sparrow by Sarah Moon. 🌟🌟🌟🌟🌟This was an emotionally full read. There are moments of panic and relief and tears and laughter. A young girl, Sparrow suffers from social anxiety and emotional trauma. To watch her walk this path was an emotional roller coaster for me. The book is a wonderful easy read and I finished it in one day. Every page is charged with emotion. 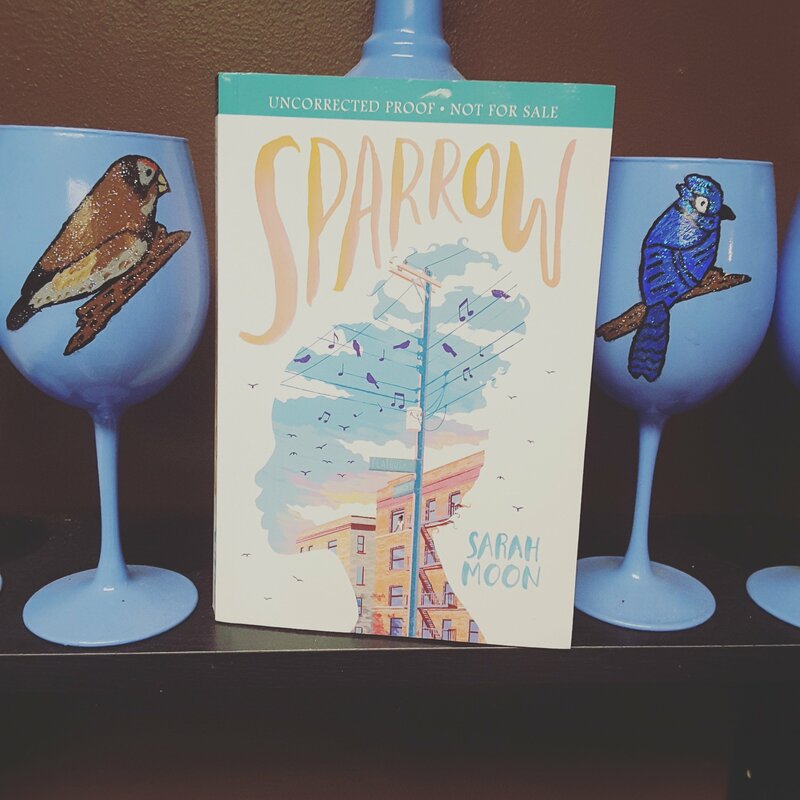 Sparrow the young girl that only wanted to fly away from everyone and have her own space becomes someone no would would have expected. AMAZING! Review also posted on Instagram @jasonnstacie, Library Thing, and Goodreads/StacieBoren.